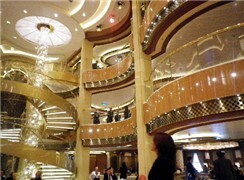 SouthernCruising.com had a brief encounter with the new Norwegian Getaway in early February. Our one-night christening cruise wasn't long enough for a full review but here are a few initial impressions. 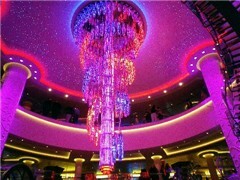 This new ship, the largest ever to sail year-round from Miami, sizzles with tropical flair, Latin style and plenty of dining and entertainment activities, not to mention a fantastic Illusionarium show. If you're seeking a classic ocean voyage (aka the feel and classic styling of the "Golden Age of Ocean Liners," you might consider the closest thing sailing today -- Cunard Line. The historic line celebrates its 175th anniversary in business next year. For an industry trade magazine, I recently interviewed David Dingle, the line's CEO, based on Southampton, England, about his vision for the cruise line, what's ahead, the "Grills experience," potential for a new ship and upcoming celebratory events. 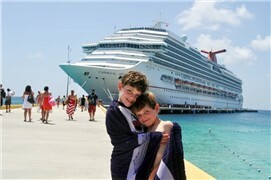 Check out the story for insight into how Dingle sees the cruise line positioned in the marketplace. Also, you'll learn how many North Americans sail on this luxury brand. While this article is written with travel agents in mind, it also has gleanings of interest to consumers as well. 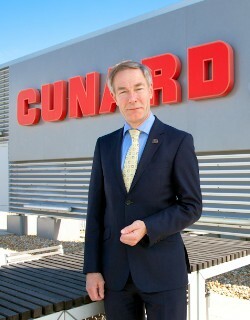 Read about Iconic Outlook: One on One With David Dingle, CEO, Cunard Line. Costa Luminosa sails 10-day voyages to the Caribbean from PortMiami during the first quarter of 2014. 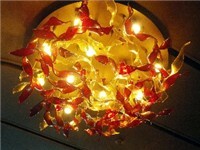 Photo shown here is a stunning glass chandelier within the ship's Asian restaurant. All photos were taken by Susan J. Young during a day tour of Costa Luminosa in December 2013 ; all rights reserved. If you prefer small ships to big ones, as well as closer-to-home voyages rather than a vacation to a far-flung region, check out this article on Blount Small-Ship Cruises. Step aboard the new Royal Princess and you'll immediately sense she's something special. 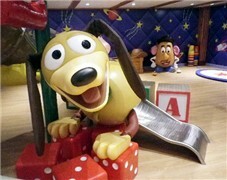 The new ship also "oozes" class as the Duchess of Cambridge (aka Kate Middleton) is her godmother. Her elegant, spacious atrium is the line's largest, while the new SeaWalk glass floor atop the ship provides a "straight down" ocean view. Freelance writers Lynn and Cele Seldon describe the ship features and offer tips for travelers.